Ar. 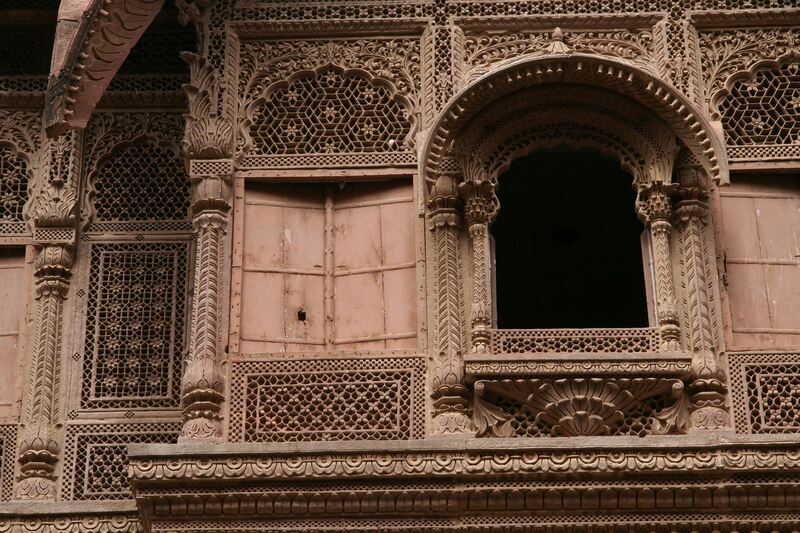 Shailesh Untawale a senior architect who loves to explore heritage structures clicked these pictures during his visit to Jodhpur. 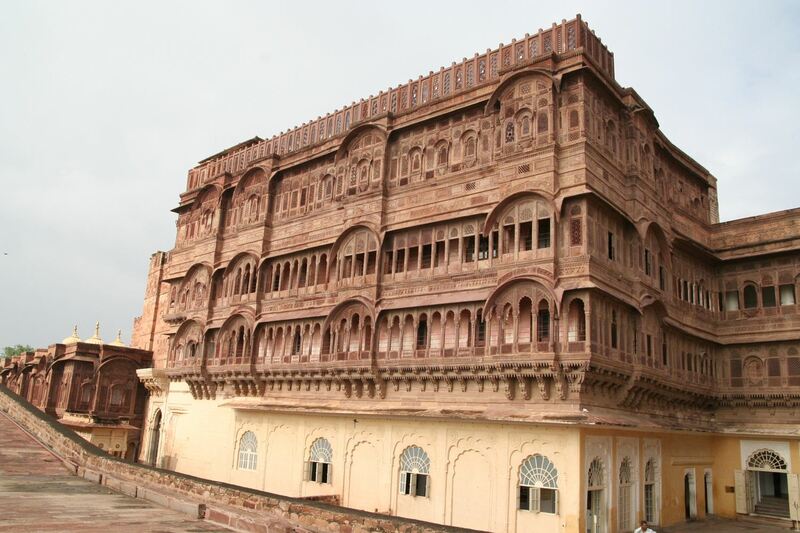 Mehrangadh fort stands a hundred feet in splendor on a perpendicular cliff, four hundred feet above the sky line of Jodhpur and is enclosed by imposing thick walls. 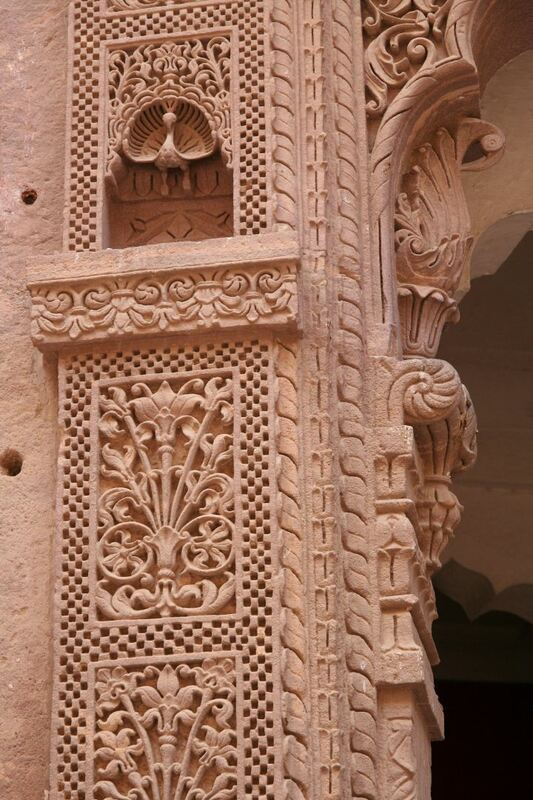 Inside its boundaries there are several palaces known for their intricate carvings and expansive courtyard. 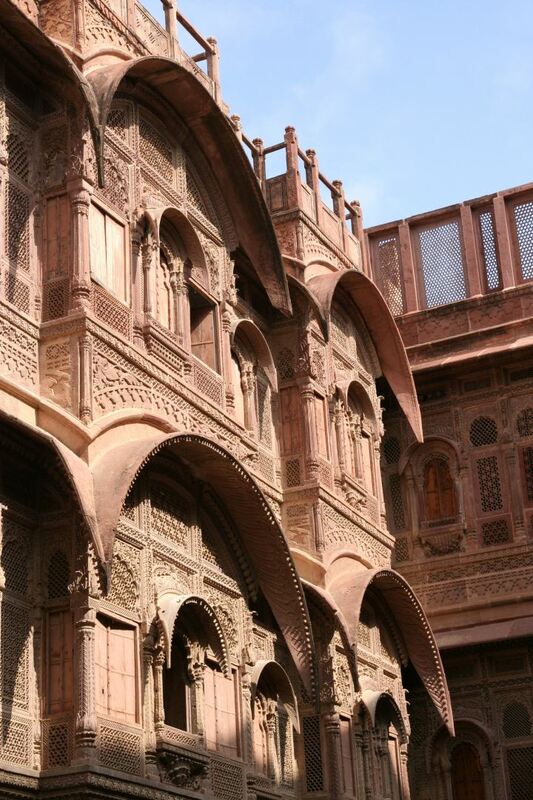 Burnished red sand stone, imposing, invincible and yet with a strange haunting beauty that beckons. So colossal are its proportions that Rudyard Kipling called it “the work of giants”. 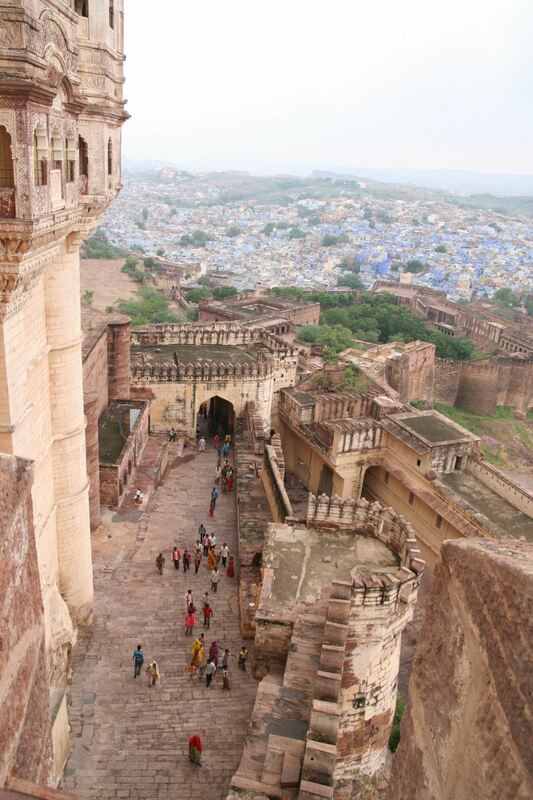 Today it is acknowledged as the finest living example of Hindu fortress.